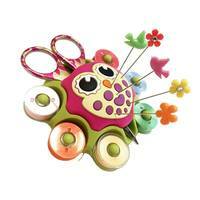 Mini Grabbit magnetic pin cushions are perfect for organizing pins, needles, and more. 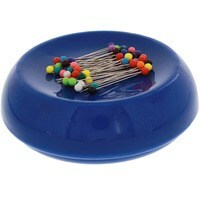 Each package contains three pin holders which measure three inches in diameter. Use these handy tools at your sewing machine, ironing board, and craft table. 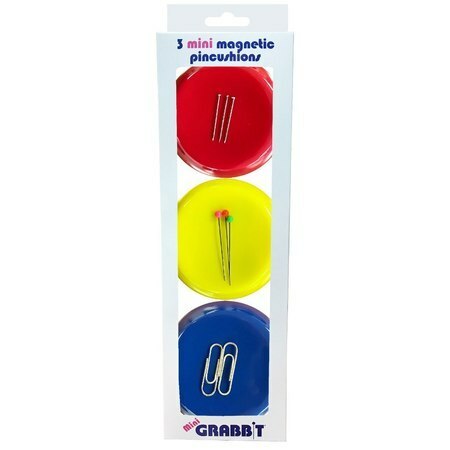 Mini Grabbit magnetic pin cushions are also great for bobby pins, paper clips, and nails. 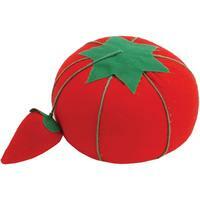 Set includes a red, yellow, and blue pin cushion.